“Anandilal Poddar Street?”…...Blank stares! Then we rephrase…….”Russel Street?” Aah yes!! So chuck those carefully marked Google maps when you visit next, unless you have taken the time to pencil in the old street names. Present day Calcuttans, it seems, do not share their card carrying comrades’ paranoia of all things European. Calcutta, is Calcutta to most residents, whatever her latest nomenclature! Even more surprising however, was the matter of fact reference to colonial segregation. That the distinctly European areas around Chowringhee and the less affluent ‘native’ Northern sections, are still referred to as ‘White’ Town and ‘Black’ Town. And in a ‘red’ state at that! Sightseeing therefore is easily compartmentalised into white and black, and even an indistinct grey area in between, where many other cultures collide. While the edges are beginning to blur, the contrasts between these neighbourhoods remain stark. Affluent old families from both areas have relocated to newer, more salubrious suburbs, leaving decay and disrepair in their wake. And a city caught in a time warp. 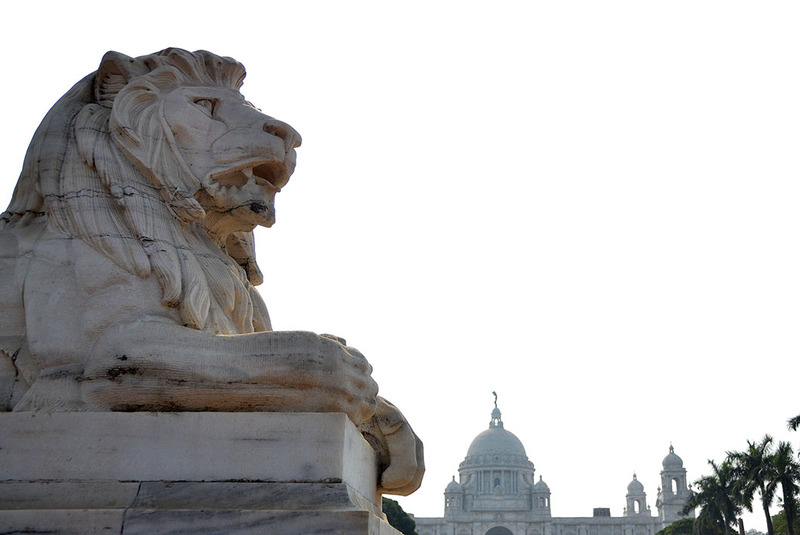 A lion guarding the stately Victoria Memorial, conceived by Lord Curzon as a fitting tribute to his Queen. The capital shifted to Delhi before its completion. Photography of the interesting but badly maintained collection of paintings and sculptures inside – including some Daniells – is prohibited for whatever reason. It felt strange to be struggling to order from restaurant menus like we would say, in Paris or Beijing! (My knowledge of Bengali is possibly a little worse than my rudimentary French, especially when it comes to food terminology.) The cuisine is as diverse as its population, and legendary Mughlai rolls vie with Anglo Indian cutlets, and sweet Mishti Doi with Chinese dumplings and Jewish baked goods. Bengali food, overpowering in its use of mustard and mustard oil, is something you either love or hate, and we loved most of what we tasted in our four days. The highlights being Chef Joy’s fusion chilli pickle and cheese baked crabs (the rest of the meal was tepid in every sense of the word) and our lunch in a tiny Dhakai (Bangladeshi) ‘mess’ called Kasturi, that served outstanding seafood. I still salivate at the memory of the Kochu Paata Chingri (river shrimp and greens curry)! I would go back just for that. And the Nolen Gurer (new palm syrup) ice cream that our hotel churned up on request. Writers Building and St. Andrews Church. The clashing blue paint on the dividers and lamp posts are new additions on the orders of Madame Chief Minister! Wish politicians wouldn’t interfere with urban planning and aesthetics. Calcutta’s origin is debated. Until recently Job Charnock was credited with founding the city when he bought and converted three villages – Sutani, Govindpur and Kalikata – into a trading port in 1690. But a 2003 High Court ruling overturned that piece of history by stating that the Nawab of Oudh only granted the land rights to the aforementioned villages to the British in 1698, nearly five years after Charnock’s passing! There is no debate however that Calcutta’s transformation from swampy village to largest metropolis outside of London (at the time), is owed mainly to the East India Company. Dalhousie square (now BBD Bagh, after three freedom fighters – Benoy, Badal and Dinesh – who assasinated an IG of prisons inside the Writers Building) and its surrounds, boast some of the finest colonial architecture in the country. Most, spruced up and in better stages of preservation – on the outside at least – than the decaying monuments and mansions in the rest of Calcutta. That ‘progress’ hasn’t claimed much of these heritage buildings so far is thanks mainly to the city’s 34 year long Marxist rule (1977-2011). There is talk of an Indo – British conservation project and a possibility of turning the area into a living museum. Walking down the tree lined boulevards of ‘White’ Calcutta on a Sunday morning is eerily evocative of the Raj. I half expected a hansom to come clipping by. 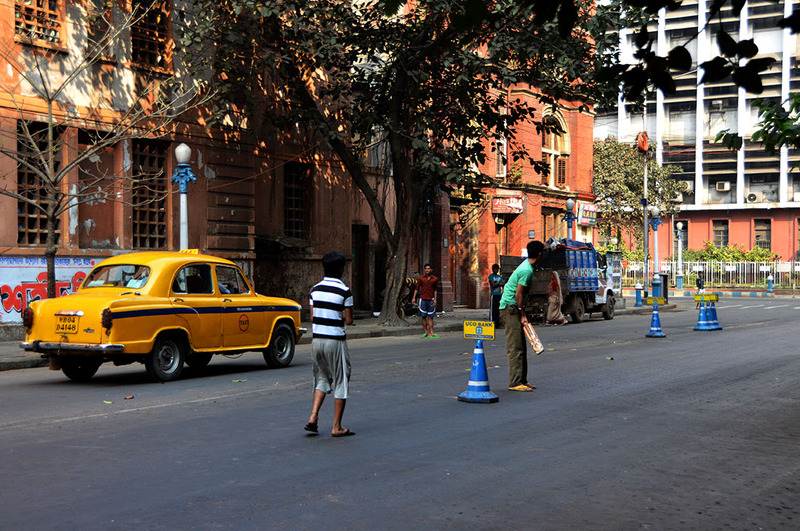 Then we turned a corner and came upon a cricket match in the middle of the road that halted only to let a yellow ‘ambassador‘ cab pass. How true! Cal has a peculiar ability to retain its history whilst still changing. I agree. Even Bangalore does not exude that vibe anymore. I hope conservation projects go ahead as planned. Cal’s spirit needs the lift as much as its economy. 😀 What’s life without hope? Madhu, had to read the post the moment I got the mail notification. Nostalgia and truth – both reflected in your post. Its easy to read your posts in this new format although photpgraphs look better on the black background. Appreciate your visit and comment Evie. Tepid food, I remember being served with that a few times in Rajasthan. A shame because it was delicious otherwise. Yes, and our expectations were rather high, so we felt even more let down. The crab starter was truly amazing though. PS: Have been busy with house guests….shall be over to catch up soon. Beautiful photos and a wonderful description of Calcutta. Interesting that your driver knew the name of your hotel to be different than yours. That would be confusing. Thank you for refreshing my memory on Calcutta. We lived in Byculla, Bombay (now Mumbai) for a while. It had been one of those places of choice for the Raj in the 1800s and still had the sad relics in my time there. I watched with dismay while bulldozers levelled some of the most beautiful architecture there and replaced it with cement human filing cabinets. There is so much in India that deserves to be preserved, and that includes the rotting temples. We have scant respect for heritage architecture – colonial or otherwise – which is strange considering how we hold on to intangible traditions! Awareness seems to be spreading now, and I hope we can hold on to whatever we have left. Thanks Ian. I’d love to try these foods and experience the flavor of this place. I know you are adventurous enough to love it Juliann 🙂 I found a food tour online after I returned, that would have helped us explore more variety. Thank you Cornelia. When do you leave for Japan? The blue was awful, especially around the old churches. I think Didi is hoping to create a visual link to the Missionaries of Charity in some way! Thanks Uday. I have a good friend who lives in Calcutta, but I’ve never been there. Street names are confusing anywhere, I swear. Korea only got street names for all its roads a few years ago. Before that, most didn’t have any names at all, it was all done by block number. Thanks Terri. You would be surprised by how little has changed in over a decade! The food was wonderful, especially since we don’t get to taste much Bengali food here in Chennai. Great article Madhu 🙂 Cheese baked Crab? I’m having trouble imaging that , what kind of cheese? Cheddar I guess, not too sure. The mix of spice and cheese was intriguing. Glad you enjoyed this Kym. Maybe the thing was that Job Charnock converted the three villages into a trading post in 1690 but failed to pay for them until 1698 … or maybe the Nawb’s people were a little behind in their paper work – I’m sure he wouldn’t have been too pleased to relinquish the land, no matter how poor it was. Terrible omission, but despite being on the agenda a couple of times, I never got to Calcutta in the end, so walking around with you this morning was especially exciting. So many buildings I’m familiar with because of history, or novels I’ve read – and the food: my (Bengali) friend Rina tried once to recreate some of her favourites in Colombo, so I can imagine how good it was! Speaking of Colombo, they do the same with (renamed) street names. In fact, the local A-Z has a section deciphering renamed streets, though I don’t know how they’re going to deal with one street that was renamed a second time, just before I left! My thoughts exactly…..Charnock’s claim had to have some clout to have stood this length of time. And oh yes, we don’t use all our new street names either. Glad you enjoyed this post Meredith. We were surprised by how much we enjoyed Calcutta. Many thanks for the lovely comment RR! Appreciate your visit and comment. 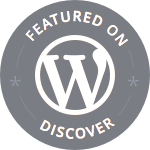 PS: I am not able to find the link to your site through your Gravatar. I come here and absorb your words and pictures, the bottom of my feet itch. My soul longs to fly. Lovely tour in both words and pics. I must make a note to try the river shrimps and greens curry. Pondicherry has a white town and black town too incidentally. Wow, the photographs are wonderful. I was tempted by the baked crab, too! So many places in the world are crumbling away. The ones that we don’t blow to pieces with our warfare… I really did enjoy this post! I think I would like Calcutta. One of my aunts went to Kolkata in 2008 and she also stayed in the Oberoi. She was stunned and overwhelmed by the number of beggars outside the hotel. Did you feel the same thing? I’ve been seeing images of great British monuments in the city, which you explain in this post as in state of disrepair, sadly. I also wonder why the Marxists can hold onto power for such a long time in West Bengal because things don’t look very good. There were no beggars at all Bama, but the area just outside is unbelievably crowded. It was overwhelming even for us. Despite that, the location can’t be beat, and combined with its history and legendary service, it is by far the best place to stay. My review is long overdue. Not for the first time Madhu you have me itching to walk these incredible streets. So love your wonderful guided tours! When I think of Calcutta, I think of beaches. Your description of it much inviting snd exciting. Oh thr knowledge you impart to us, coupled with your reflections, and with writing excellency, your blog truly is topnotch! Amazing how just a simple taxi ride is an experience already on its own. Rommel, I am touched by your generous compliments always. Thank you very much, and apologies for the belated response! Madhu, I have to admit that Calcutta was never previously on my wish list for travelling in India… but with this post you have singlehandedly changed my mind! I’m amazed at the number of architectural gems still intact from the days of the Raj. The blue lampposts and dividers are beautiful on their own, although they should have been painted in either red or green! Previously I only knew of the Victoria Memorial, the Howrah Bridge and St. Paul’s Cathedral, which seems directly transplanted from the south of England. 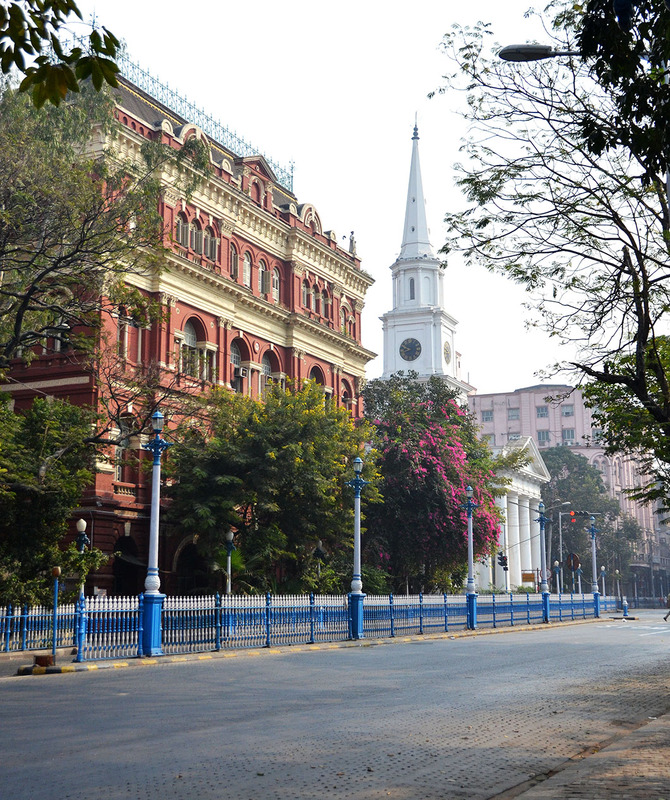 I’m glad to see that Calcutta hasn’t gone the way of Hong Kong, tearing down its built heritage at every opportunity. My parents fondly remember the delicate red and white arcades of the General Post Office (http://www.imagesofasia.com/html/china/images/large/post-office.jpg). Local lore has it that while the blueprints were shipped from London, they were mixed up with another post office intended for a city in India. If true, I wonder if that was in fact Calcutta, but then again its importance would have demanded something even more grandiose. I have mixed feelings about renaming city streets, especially in such a top-down fashion without the consent of the populace. One fear we had before Hong Kong’s Handover was that the old British street names would be eradicated in favour of “People’s Avenue”, “Liberation Road” and equally cringeworthy titles. But 17 years on I still ride through Gloucester Road, Queens Road Central and Bonham Street on a regular basis – and I would honestly like to keep it that way. The day Beijing issues an order to rename them is the day we lose our East-West identity. James, I don’t know how I missed responding to this thoughtful comment. Intrigued to learn of the mixed up post office blueprints! Your guess must be right, considering the Hong Kong building looks more Indo Saracenic as compared to the simpler and more elegant one in Calcutta. I concur with you about name changes. Nationalistic fervour aside, I don’t see how that can wipe out nearly four centuries of colonial history. And like I featured in my Delhi post how long back does one go to pinpoint a national identity? Ridiculous really, in a country that really didn’t have an identity up until the eighteenth century! Stumbled on your blog by accident and what a lucky find it is. Love your style of writing and photography. You showed me a side of Calcutta that I have never seen before, having visited the place couple of times. Inspired to explore the city like how you did. Chaitali, many thanks for your lovely comment. Let me know if you need pointers when you do decide to visit Cal.